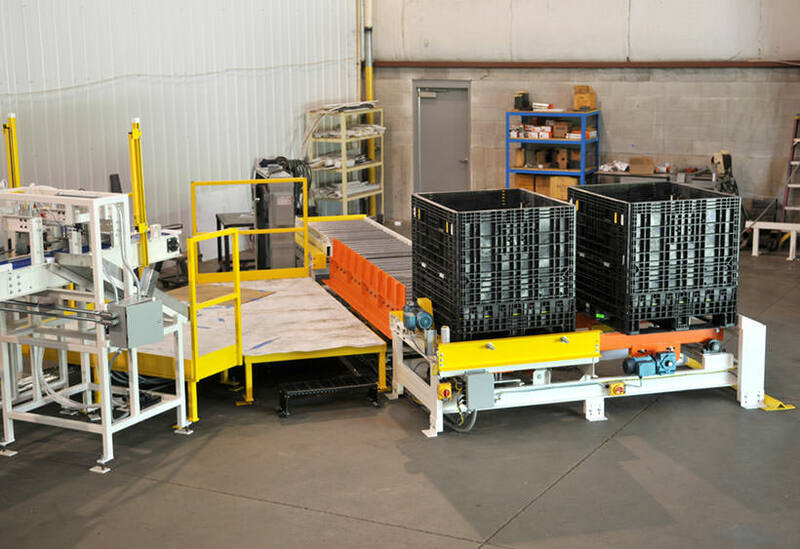 Our client needed to automate a multi-faceted labor intensive parts material handling system including a manual pick system, equipment interface and quality control processes. 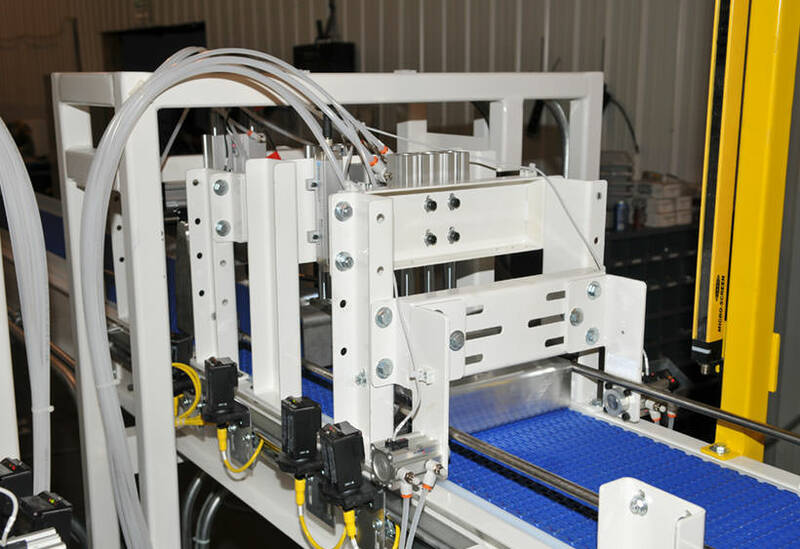 Our custom designed solution includes two systems. 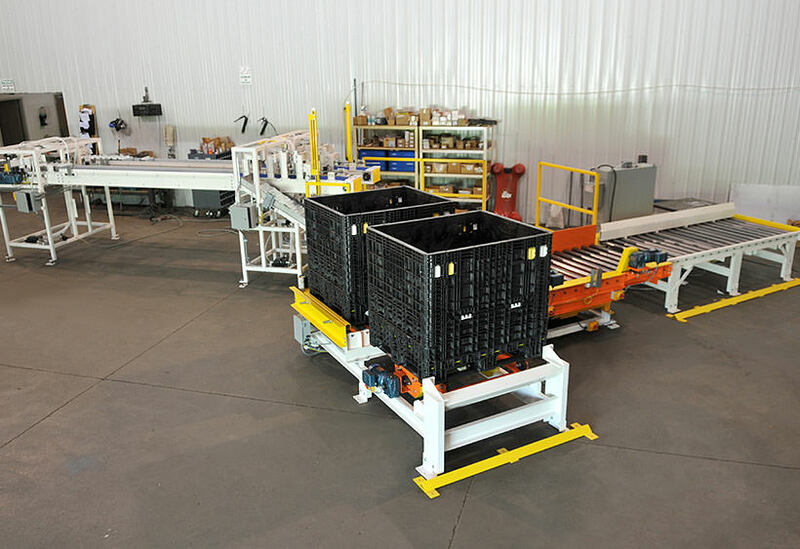 The first is for line side supply of parts being processed where large plastic totes were transferred and tilted for ergonomic operator access. 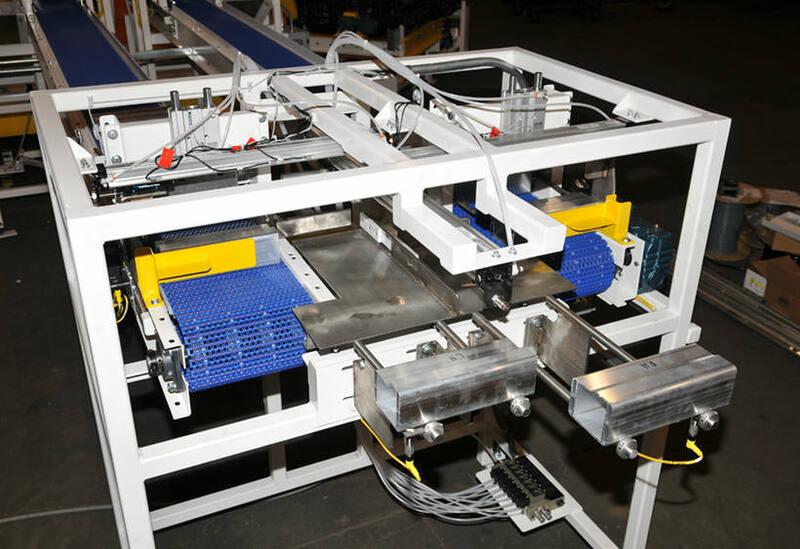 A custom operator platform was included. 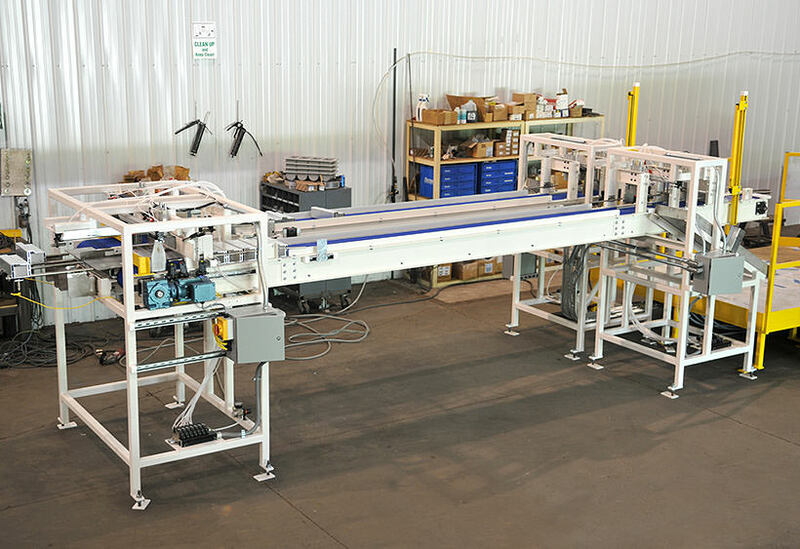 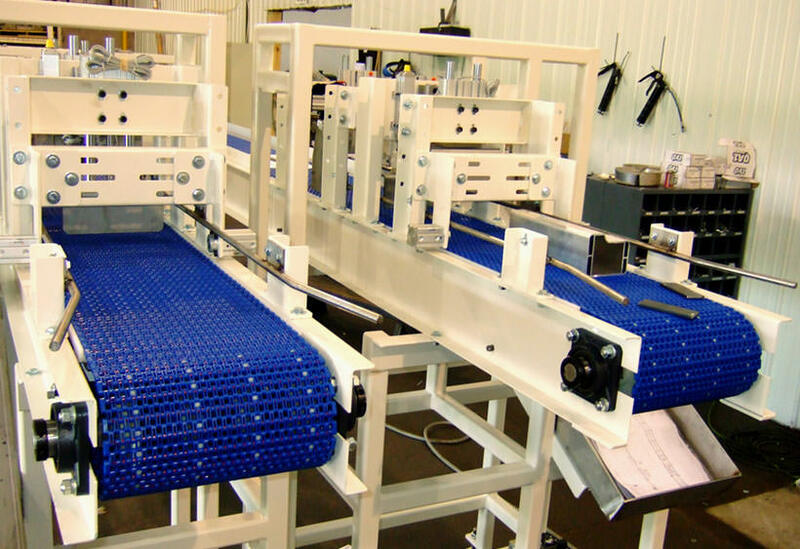 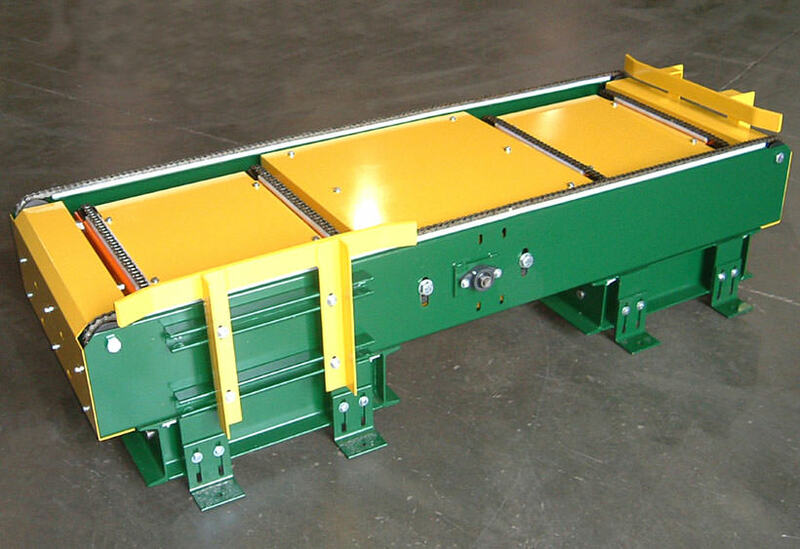 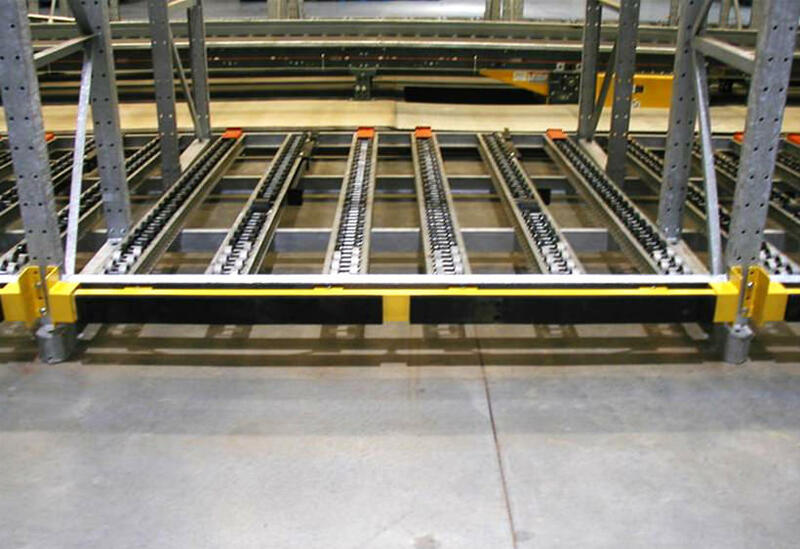 The second system consists of two plastic belt conveyors moving aluminum extrusions into a progressive die press requiring a six second cycle for two parts. 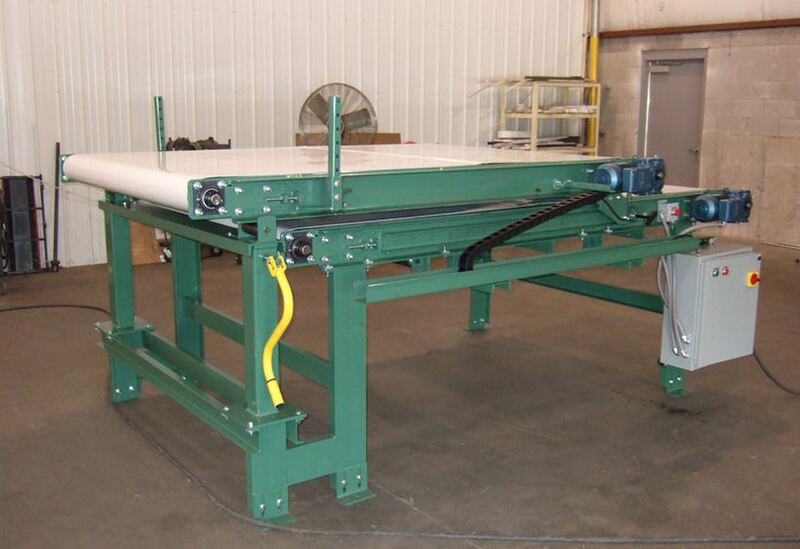 The system includes part inspection stations that check several parameters, insuring that the correct parts have been selected and placed in the proper orientation. 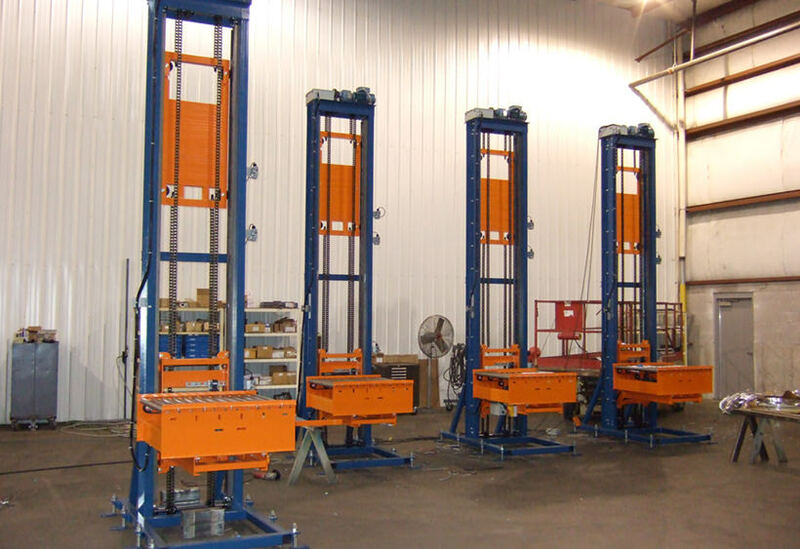 If the parts are not correct, they are discharged onto side chutes where an operator collects and reloads them properly.